When Google Home picked up routines a few months back, followed by custom routines a couple of months later, it sure added a new level of power to the smart home system. Instead of having to fire off commands 1-by-1 to complete a series of tasks, you could do many with just one series of words. Today, custom routines are getting another massive upgrade, thanks to the rollout of scheduling. 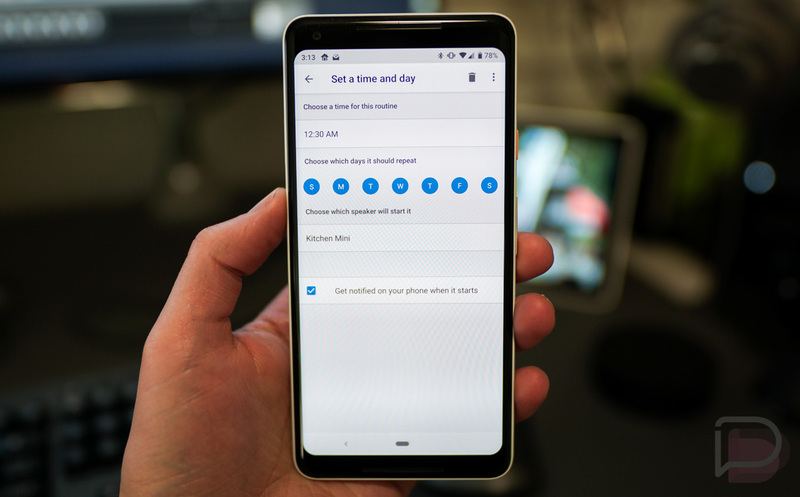 Starting today, if you head into your Google Home app, then Settings>Routines and tap the “+” button to create a new routine, you should see an option within for “Set a time and day (optional).” That’s the new magic scheduling! Now, you can setup a custom routine to run at a specific time. For example, I just created one that will turn off all of the Philips Hue lights in my house by 12:30AM, just in case I forgot to when I passed out. You could also have a scheduled routine that adjusts your house temperature at night, as it dims your child’s lights and kicks on a kid-friendly podcast before bed. You get the idea. 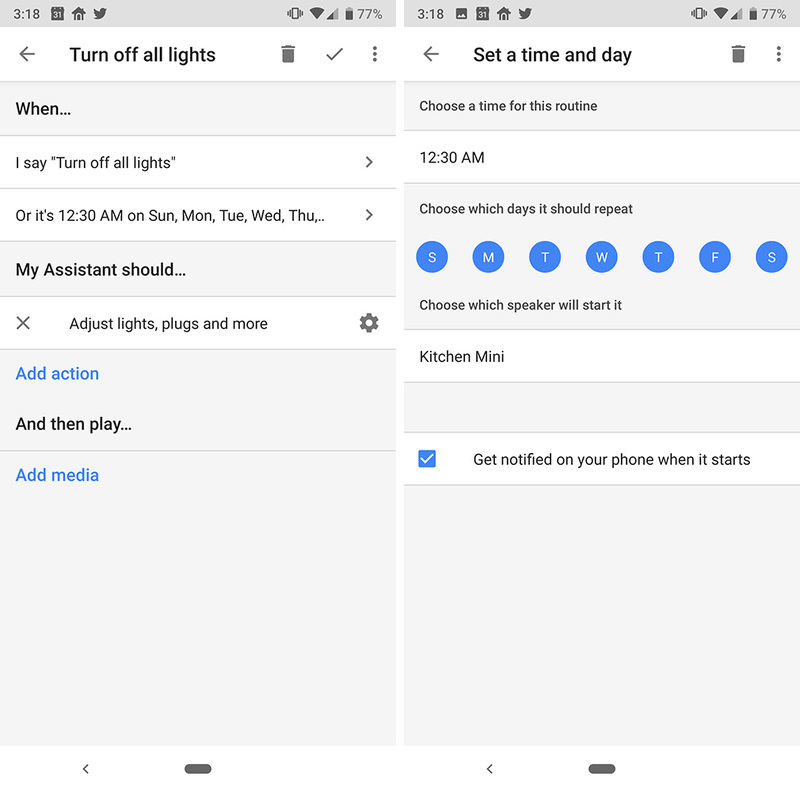 So you know, for scheduled routines to run, you’ll choose a Google Home unit that you want to initiate the action. Once the action is done, you’ll receive an audio acknowledgement from that device followed by a visual notification on your phone. Again, this new feature is rolling out now. Enjoy your evening setting up all the automation.